Sad news, but inevitable. His legacy will endure. Royal was a good friend of mine and occasional climbing partner. He was just a few years older than me, but a great mentor. This is the second of my good climbing friends to have passed in the last few months, the other being Nick Clinch, who led first ascents in the Himalaya and Antarctica. Only a few years ago, he was found to have developed a degenerative disease that affected his motor controls. Mentally he remained extremely sharp, as witnessed by his playing a mean chess game despite no longer being able to move the pieces on the board himself. 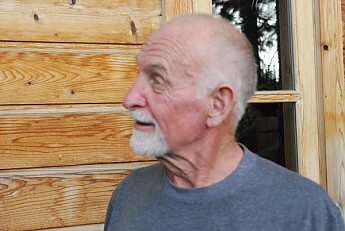 Royal and his wife, Liz, started the Royal Robbins outdoor clothing company. Liz still plays an active role in running the company. 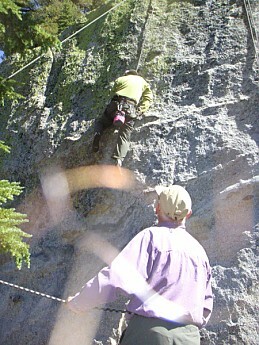 Royal was active in Boy Scouts of America, organizing scout climbing events at Gianelli Edges, located in the Sierra not far from his and Liz's cabin in Pinecrest. In the first of his intended 7 volumes of his autobiography "To Be Brave" (only 3 were completed and published), Royal says that he was a wild youth. After he joined Scouting, he turned his life around and became deeply involved as a climber. He was one of the pioneers of rock climbing, climbing big walls such as the first ascent of the face of Half Dome in 1957, North American Wall on El Capitan, and many others. He pioneered the use of nuts (small, shaped pieces of metal) for clean climbing with his and Liz's first ascent of the Nutcracker. I have read all 3 of his autobiographic volumes, all personally autographed to me. I shall miss you, Roy. Barbara's and my thoughts are with you, Liz. Thanks for the background. I am sorry for the loss of your friend, but appreciate learning about such a pioneer in an area I am not that familiar...I'm not a climber but look forward to some quiet time this weekend to learn more about Royal through the news article and other resources. It's up to us to carry the memories and stories now. I'm wearing a pair of 511 cargo pants he designed and brought to market decades ago before 511 existed.